Ireland is filled with incredible people, beautiful terrain and traditions that span centuries. Americans often associate Irish culture with pubs, shamrocks and St. Patrick’s Day, but there’s so much more to this incredible heritage. 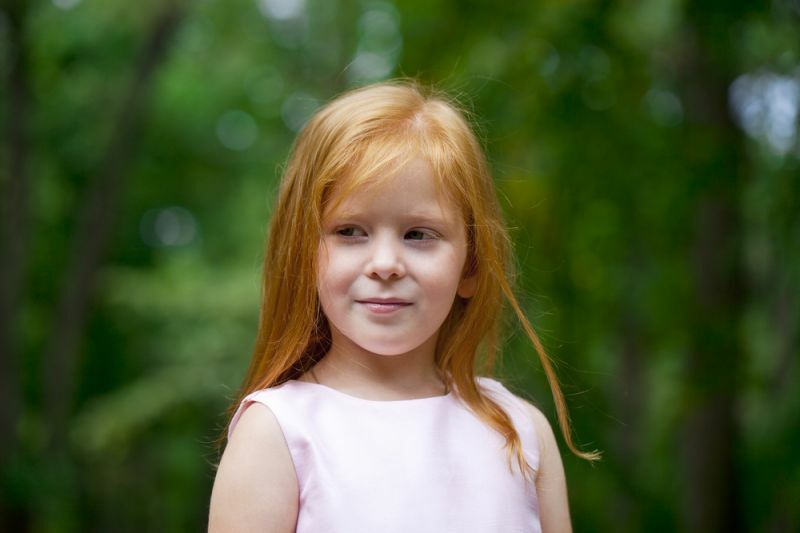 If you have Irish roots or are simply drawn to the beauty of Ireland, giving your child a name derived from this country is a great way to pay homage to the Emerald Isle. As a parent, you want to give your child a name that has meaning. Choosing one with Irish origins can provide a rich backstory to a name. Plus, they won’t get lost in the mass of Jacksons, Matthews, Emmas and Olivias currently trending for babies born in the U.S. Preparing for the arrival of your little one takes a lot of work, so genealogy site MooseRoots prepared a list of common baby names in the U.S. with Irish roots to help make your decision a little easier. MooseRoots used data from the Social Security Administration to identify the most popular Irish names in the U.S. for boys and girls born in 2014. Interestingly, Irish boy names are more common in the U.S. than girl names. Find out which traditional names are commonly used by American parents giving their children distinct ties to this amazing country. Finola is the Anglicized form of Fionnuala. In 2014, only six baby girls in the U.S. were given this unusual name and it is currently trending down. According to Irish legend, this baby girls’ name derives from a figure who gave her name to the River Liffey. Life is an uncommon name in the U.S., but it made the top 200 list in Denmark in 2011. Sorcha is derived from a Celtic word meaning “brightness” and is considered a Gaelic form of Sarah. This baby girls’ name is very uncommon in the U.S., with only six infants given the name in 2014. Eavan is the Anglicized form of the Irish female name Aoibheann. It is unusual in the U.S., ranking No. 13,364 for all baby girls born in 2014, with only seven named Eavan. Fionnuala is the modern form of the name Fionnguala, meaning “white” or “fair.” It is rare in the U.S., as only seven baby girls were named Fionnuala in 2014. The Anglicized version of Ide has both Irish and Yiddish origin. In 2014, only 10 baby girls in the U.S. were named Ita and they were all born in New York and New Jersey. Caoimhe is a female name that means “gentleness,” “loveliness” and “grace.” Only 16 baby girls in the U.S. were given the name in 2014, but it was on the top 200 list in both Ireland and Northern Ireland that year. Keelin is the Anglicized form of Caoilfhionn. The name is trending down in the U.S., as only 18 baby girls were given the name in 2014. The Irish equivalent of Alice is an uncommon name in the U.S., but it is currently trending up. In 2014, it ranked No. 6,174 for all baby girls born during the year, with 20 named Ailish. In 2014, the Anglicized form of Fiontan ranked No. 4,400 for all baby boys born in the U.S, with 22 named Fintan. The name is currently trending up. Fionn is a variant of Finn that is currently trending up in the U.S., with 23 baby boys given the name in 2014. During the same year, Fionn made the top 200 lists in Ireland and Northern Ireland, proving it is still much more popular overseas. The name Egan is an Anglicized form of Aogán or a transferred use of the surname. This male name reached peak popularity in 2003, with a rank of 2,348, but is currently trending down, ranking No. 3,916 in 2014. Oran is a male name that is the Anglicized form of Odhrán. It was most popular in 1901, when it was the 466th most common name for baby boys, but it is currently trending up, ranking 3,736 in 2014. While Oran is uncommon in the U.S., it made the top 200 lists in both Ireland and Northern Ireland in 2014. Darina is the Anglicized version of Dáirine. It has Czech and Slovak origins and ranked No. 4,777 for all female newborns in the U.S. in 2014, with 29 given the name. Most of these baby girls were born in Washington and California. Ferris is an uncommon male name in the U.S. that reached peak popularity in 1902. It is currently trending up, ranking No. 2,842 in 2014, with 41 baby boys given the name. Most of these infants were born in California. Aisling is a female name that means “dream” or “vision.” In 2014, it was the 56th most popular name in Ireland, but only 41 baby girls in the U.S. were given the name. It was most common in Massachusetts, where it has a state-specific ranking of 824. Kelan is an uncommon male name in the U.S. — with a 2014 rank of 2,582 — and is continuing to trend downward. A total of 47 baby boys were named Kelan during 2014 and it was most popular for those born in Kentucky. Over the last few years, Teague has been more popular than ever for boys born in the U.S. In 2014, the name ranked No. 2,596 and a total of 47 male newborns were given the name. St. Edan was an Irish disciple of David of Wales, who later became bishop of Ferns. This male name is also a variant of Aidan and during the last few years it has been more popular than ever in the U.S., with 50 baby boys given the name in 2014. Edan was most prevalent in California, where it earned a state-specific rank of 1,457. In Ireland, Eoin is a common male name that is the American equivalent of John. It was most prevalent in U.S. during the 2000s, but has remained fairly flat since then, ranking No. 2,422 in 2014. Eoin was especially popular with parents of boys born in New York and California. Oona is an unusual female name that is currently trending up in the U.S. In 2014, it ranked No. 2,750, with 63 baby girls given the name. Despite being uncommon in America, the name made the top 200 list in Belgium in 2012. The name Conley was most common in the U.S. during the 1880s — with an average rank of 908 — but it has been trending up over the last decade. In 2014, it ranked No. 2,005 for male newborns in the U.S., with 70 given the name. It was most popular in Texas, where it had a state-specific ranking of 1,430. Aoife is a female name that means “beauty.” In 2014, it made the top 200 list in Ireland, England and Wales, Scotland and Northern Ireland, but only 74 baby girls in the U.S. were given the name. It was most popular in Massachusetts, Illinois, New York and California. The name Cillian was born by a variety of early Irish saints and means “church,” “monastery” or “strife.” It is a common name in Ireland and Northern Ireland, but only 87 male newborns in the U.S. were given the name in 2014. It was most popular in Massachusetts, where it had a state-specific rank of 521, compared with the national average of 1,717. Saoirse is modern Irish name that means “freedom.” In 2014, it made the top 200 list for baby girls born in Ireland and Northern Ireland and is currently trending up in the U.S., ranking 1,837. Of the 110 infants named Saoirse, most were born in Massachusetts, Pennsylvania, New York, Illinois, Florida, California and Texas. The male name Rian means “king” and is common in Ireland and Northern Ireland. It reached peak popularity in the U.S. in 1979, when it was the 899th most common male name and has seen steady popularity since, ranking No. 1,337 in 2014. A total of 129 baby boys were given the name that year, and the highest concentration were born in New Jersey. Conor is the Anglicized form of Conchobhar and is common in Ireland, Northern Ireland and Scotland, where it made top 200 lists in 2014. This male name was most popular in the U.S. during the 1990s — when it had an average rank of 327 — but has been trending down in recent years. In 2014, it was most prevalent in New Hampshire, where it earned a state-specific ranking of 189. In 2014, Killian was the 81st most common name for baby boys born in Ireland and ranked No. 516 in the U.S. The name has become increasingly prevalent with American parents and is trending up. Killian was most popular in Alaska, where it earned a state-specific ranking of 159.